Do real men race Miatas? The reason real men race Spec Miatas: best competition, extremely reasonable cost structure, and great racing support from Mazda. When I started driver’s school in Washington state back in 2005, I had planned to race my 2001 Z06 Corvette once I got my competition license. Not an 800HP purpose built racing machine, but good enough to feel like I was racing a real machine. So I thought. By the time I was really ready to begin racing with the SCCA in early 2009, I had moved to “the other” Washington – DC – and still had not modified my Z06 to meet the SCCA Club Racing requirements. Therefore, I needed to rent a car for the drivers school required to get my license. It was a reasonable idea, I thought, since I was not sure just how terrible I really would be at this “sport”. Also the thought of destroying a perfectly good Z06 Corvette by welding a roll cage to the frame, etc. seemed wasteful if my adventure ended up being short lived. I rented three different Spec Miatas from Meathead Racing over the next few weeks. I finished driver school and some non-competition driving events and decided to buy a Miata from them. 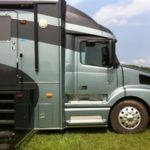 It was fairly cheap ($8k-$15k for a fairly good setup) and it meant I did not need to commit my Z06 to the welding machine just yet. Well it has been two years of racing Miatas now and I am totally committed to them and the sport. There is a very simple reason: GREAT competition. In Summit Point, WV where I race, there are about 80 Miatas split into two major groups of 40 each race weekend. That is a lot of cars on the track – and a lot of wheel-to-wheel competition. When I raced in the SCCA National Championship for Spec Miatas this past September, there were 63 cars in the race! That was really intense competition. To put it into better perspective, if I had converted my Z06 Corvette into a T-1 race car, most weekends I would have been one of only 2-3 cars in my class. Not a lot of competition. Sure I would get a trophy each weekend – but would it really mean anything? Would I really be learning and getting better? There were only 16 T-1 cars at the National Championships – and only 9 finished the race. A pittance! Looking at the bigger picture, for the SCCA, the Spec Miata (SM) class is the largest class with the most participants in 7 out of 9 regions for National races and 8 out of 9 regions for Regional races. Only the “Spec Racer Ford” (SRF) group even comes close to the participation of the Miatas, and those are purpose built cars that are really closer to go-carts than real cars (just my opinion). 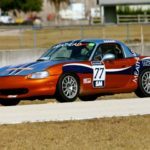 For SCCA Regional races, 3043 Spec Miatas raced in 2010 while in the second largest class, SRF, only 2006 cars entered the same amount of races. The Spec Miata is one of the least expensive automobiles available for organized racing. Mazda still manufactures most of the engines and parts – for cars that are over 10 years old. 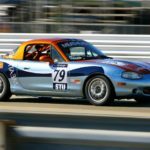 There are more Miatas racing every weekend in the United States than any other type of car – period. So if you want some good, cheap, high-intensity fun, rent a Spec Miata and head out to the track for a high speed driving instruction lesson. You will be in some great company – and you may even decide to race them competitively. You can see some photos of many of the Meathead Racing drivers in the last regional race of the year as well as the SCCA National Championships on Facebook thanks to Karen Dildei’s expert photography!